Going green at home should not be the moment when you don the hair shirt and embrace the gloom. 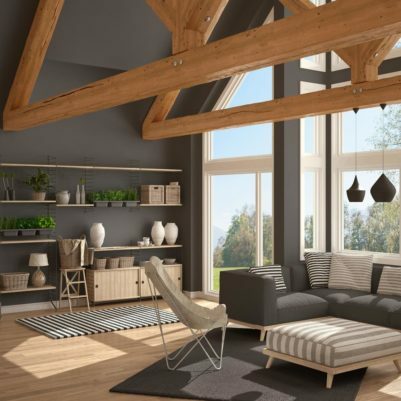 Now, more than ever, there are a range of excellent products solutions and choices that means you do not need to compromise on comfort and convenience when making the change to sustainable lifestyles. Certainly there is nothing wrong with living with less, particularly when less equals savings on water and energy. The change from over-consumption to a more balanced way is beginning to gather pace, helped by beneficial technology. Energy consumption continues to fall year after year, despite increases in population and more appliances. This is in part due to the appliances being designed to be more efficient, together with newer products that deliver big savings on energy consumption. Energy inefficiency that is often unseen in the home includes daily routines like showering, where traditional shower heads run at a high flow rate and so use more energy for heating and pumping the water. The savvy sustainable option is to invest in an eco shower head that reduces water consumption by up to 50% by mixing air with the flow. This smart technology ensures that the quality of showering experience is unaffected. The low flow shower heads come in a range of classic and modern designs to match the specific needs of different bathroom settings and personal preferences of the home owner. 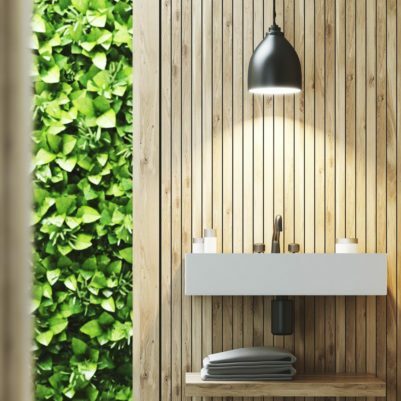 Taps are also a hidden area of over-consumption in the home and there are sustainable solutions here too with eco products that reduce water consumption by up to 50%, again with smart mixing of air with the flow. The range of taps is very broad and there is a perfect choice for every bathroom and kitchen setting, with no compromise on design aesthetic. In both cases, showers and taps, the savings on energy used for heating and pumping are impressive and ongoing, as are the savings made directly if the home is metered. At the same time, home appliances – everything from fridges and freezers to washing machines dishwashers, monitors and screens – continue to improve on energy efficiency. One of the areas where sustainable change for the home has grown very rapidly is in lighting. The development of LED lighting over the past ten years has been impressive and has delivered big energy savings, that the Government acknowledges as playing a significant role in the overall reduction in energy use in the UK. The quality and range of LED lighting now available means that householders will have no problem in buying exactly the right light to suit their needs and preferences. At the same time, they will ensure that they benefit from energy savings of up to 80% in general, compared with traditional halogen and incandescent bulbs. What’s more, the newer ranges of LED include some very smart and technology. For example, the Philips SceneSwitch LED bulb that offers three light settings, from cool light to warm, changed simply through the light switch, with no dimmer needed. There are LED options that give the user control over lighting settings through their home via mobile phone or tablet and can be synched with smart home devices and voice assistants like Amazon Alexa, Apple HomeKit and the Google Assistant. Other smart tech like intelligent lighting controls give users the ability to maximise the quality of their home lighting settings while saving even more energy while new heating controls allow them to manage usage room-by-room via their mobile device.